San Francisco SoMa district. Wednesday afternoon, October 14. 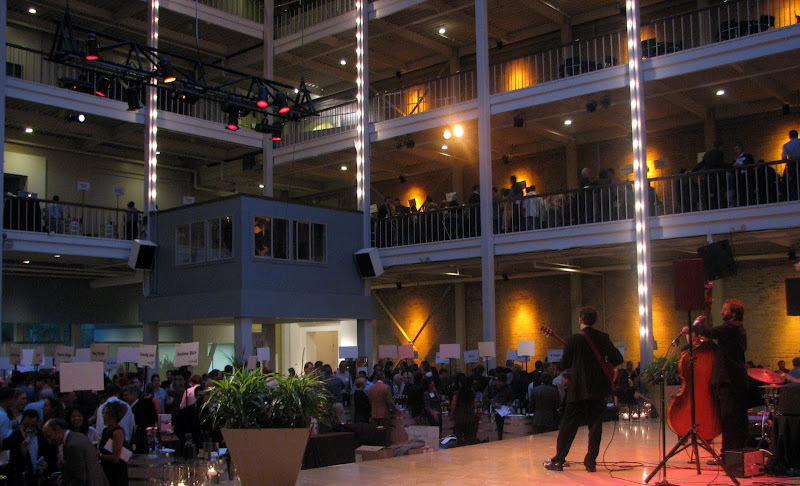 At 4:30 the doors of San Francisco Design Center open to the trade. Normally - designers and architects, but not this night. 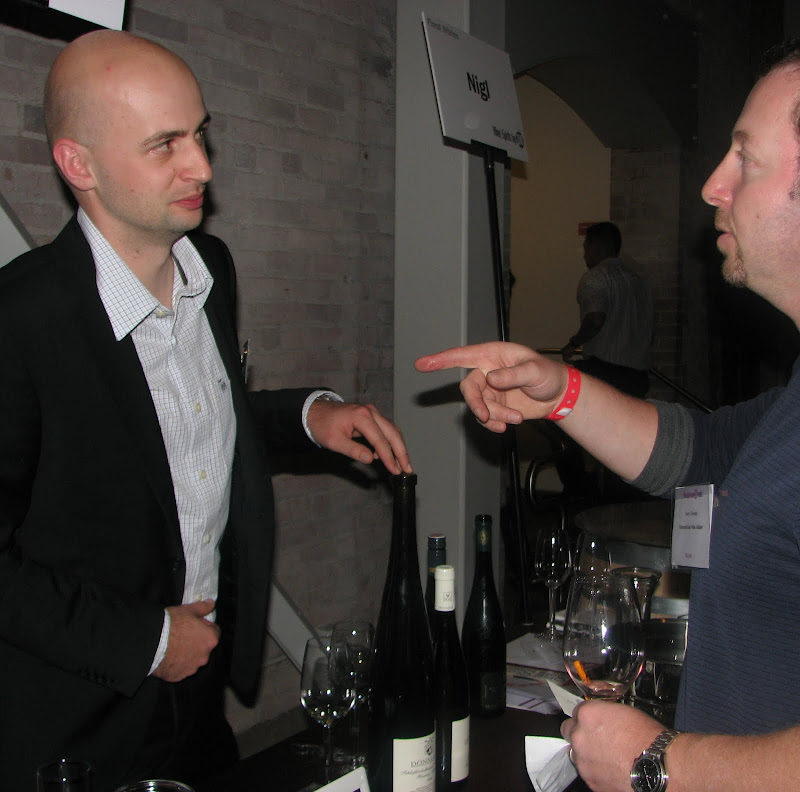 Most trade tastings are free, yet this event commands a hefty price tag. By 5pm, the cost of entry a non-deterrent, the place is packed with nicely groomed men with pleasant Euro accents, and attractive women - a staple of the wine trade circles. 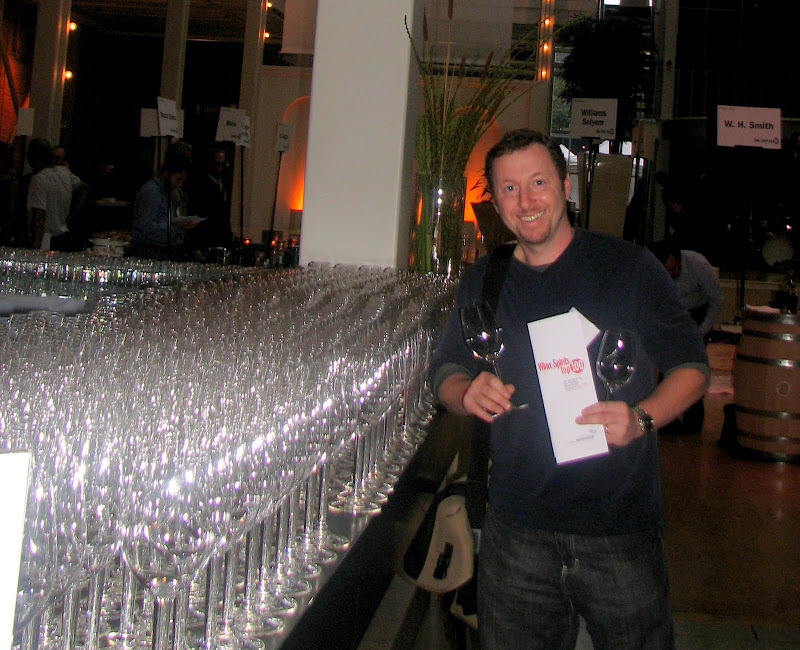 Yours truly, in jeans and t-shirt, and in need of a haircut stands out like a sore thumb, swallowed by the sea of humanity imbibing prized wines and gourmet eats. Thankfully the semi-mysterious Russian-ish accent elevates my image throughout the evening. From the Wine & Spirits 23rd Annual Buying Guide: "Our Annual Buying Guide reviews not only the best wines of the year, but the best wineries... A great wine should be marked by the character of the place where it was grown, and reveal something about the traditions of the people who made it. Our ratings signify more than just quality. Our 100 Best Wines celebrate the diversity of the world's vineyards... The individual scores are only a gateway to a bigger question: How has a winery performed over time? That's what the Winery of the Year concept is all about. It's the culmination of a year's worth of tastings: from more than 10,200 wines, we've selected the 100 wineries that have earned the highest scores and the highest percentage of wines recommended." The Wine & Spirits Magazine's Top 100 Wineries of 2009 ia a classy event indeed - all featured wines and all food are nothing to turn away from. 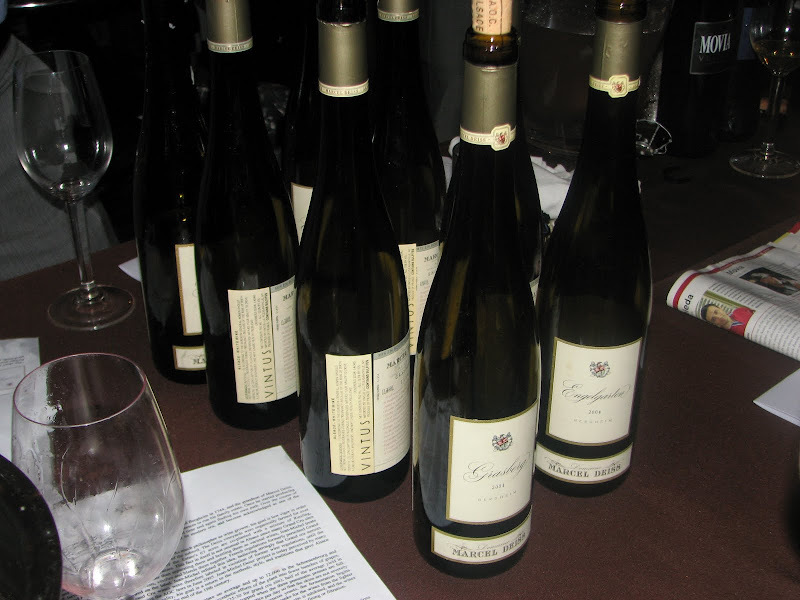 Not a bad wine in the line-up, yet only few captivate me. 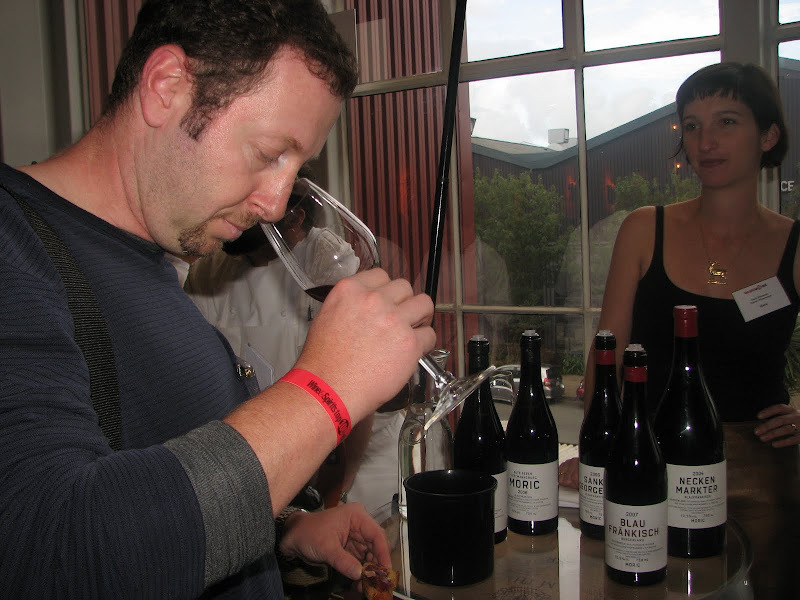 Though irresistible, I find big wine tasting events challenging and somewhat unfair, as I don't get the time to give each wine its proper consideration, rushing from table to table, squeezed in between others' elbows. Flashier wines and flashier people stand out. Many, to my great sorrow, I simply miss. 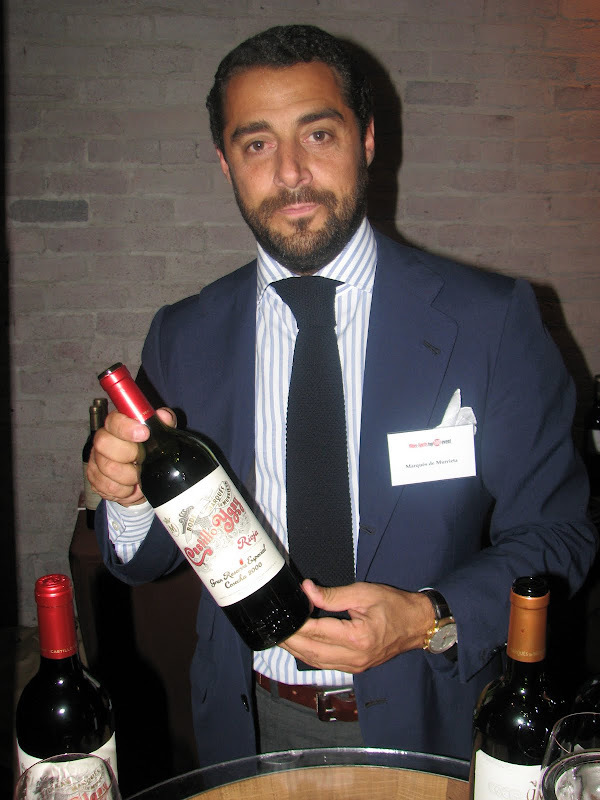 Those I taste but deprive of praise are more a reflection of my personal taste rather than the quality of the wines. 1. Donnhoff, Schloßböckelheimer Felsenberg Riesling Spätlese, Nahe 2006 (magnum) - perfect Riesling, minerality, fruit, acid, sugar all there in perfect freshness and harmony, poured out of a magnificent magnum bottle. Paired nicely with Heaven's Dog braised pork belly sandwiches in clamshell buns. 2. Il Molino di Grace, Chianti Classico Riserva Il Margone 2001 - dark, earthy mushrooms, forest floor, incredibly alluring, may be the most impressive and serious Chianti Classico I've ever had. 3. 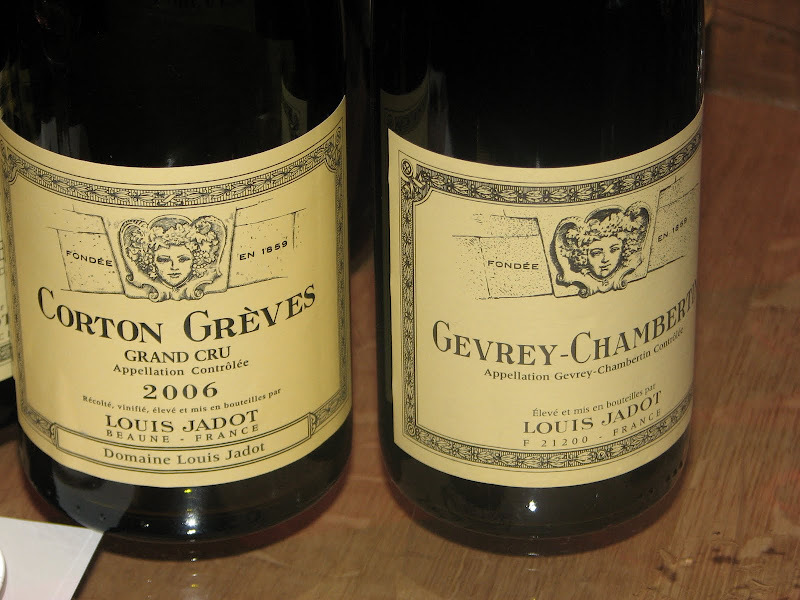 Louis Jadot, Corton Greves Grand Cru 2006 - plush and classy. 4. 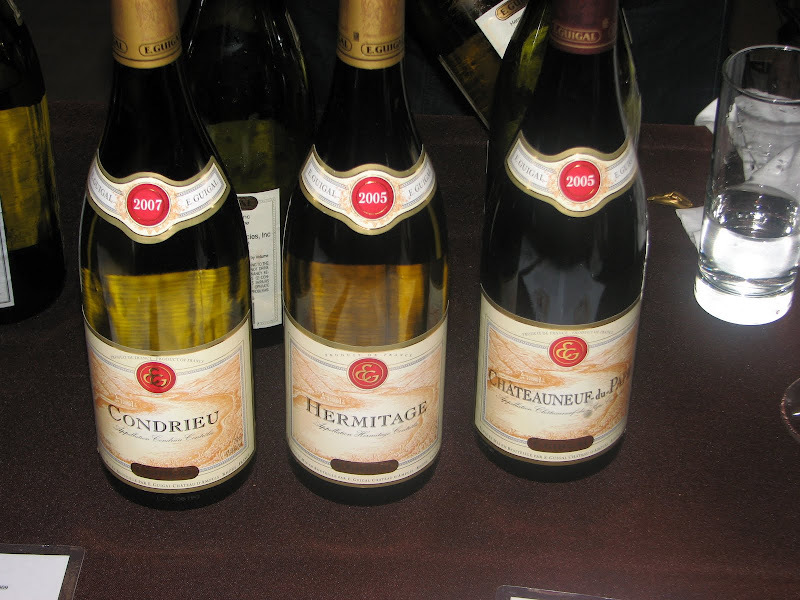 E.Guigal, Hermitage blanc 2005 - fabulous depth of flavor. The E.Guigal 2005 CdP was very good too. 5. Poderi Luigi Einaudi, Barolo Nei Cannubi 2004 - sensual and delicious. 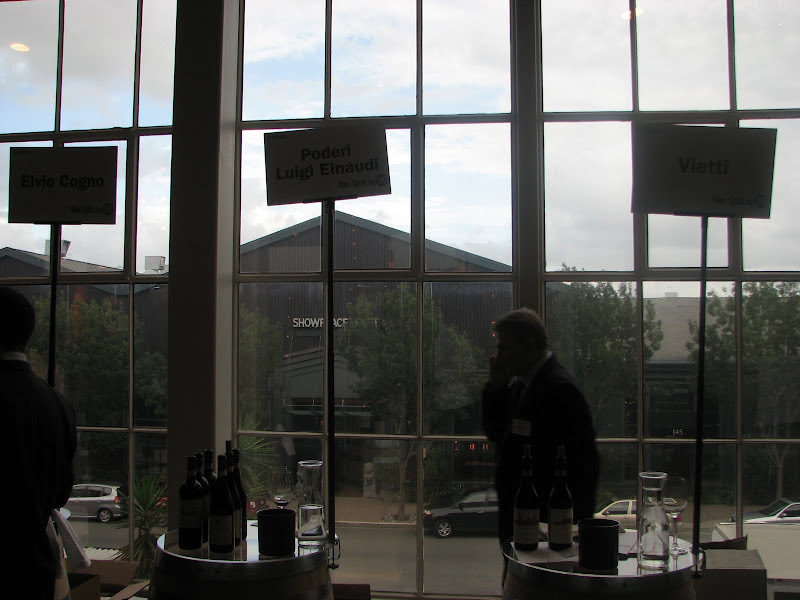 Of the three Barolo producers featured at the show, I thought Poderi Luigi Einaudi's from the famous Cannubi vineyard (with vines planted in 1945) was the most alluring at this stage. 6. 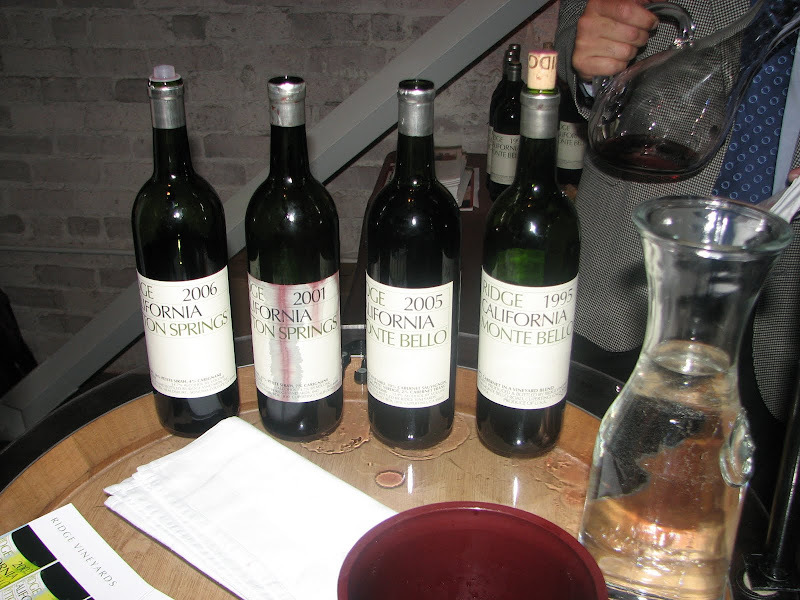 Ridge Monte Bello 1995 and 2005 - very Bordeaux-like, very good. 7. Marques de Murrieta, Rioja Castillo Ygay Gran Reserva Especial 2000 - quiet royalty, paired perfectly with bacon bonbons (sauteed prunes stuffed with goat cheese, wrapped in bacon, anise and cinnamon port sauce). 1. 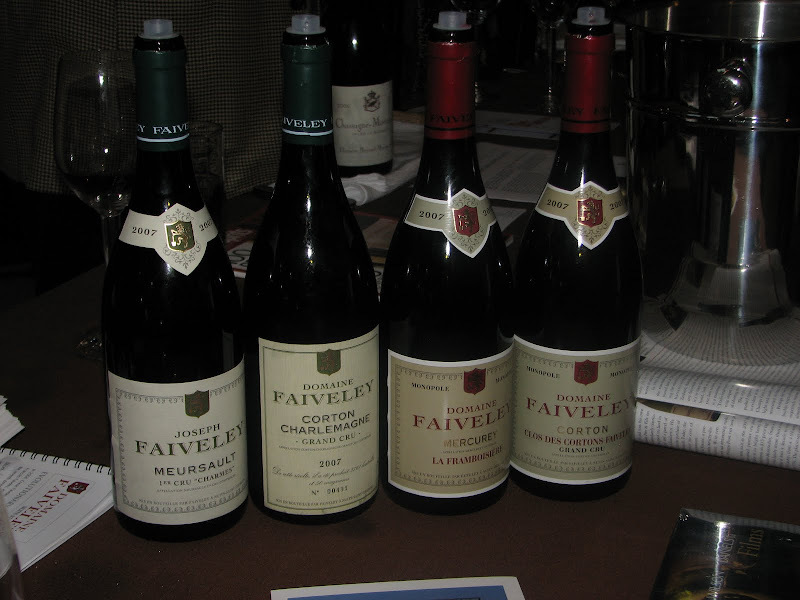 Faiveley, Corton Charlemagne Grand Cru 2007 - thick. 2. 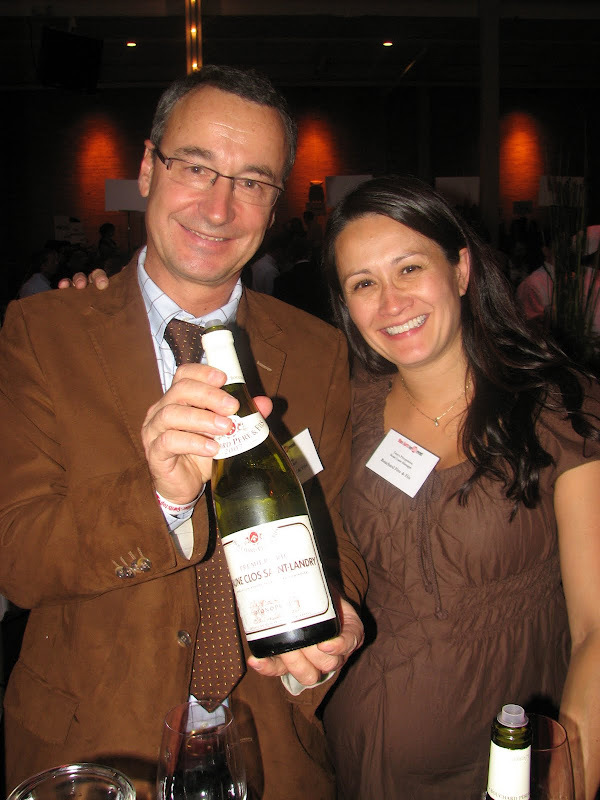 Bouchard Pere & Fils, Beaune Clos Saint-Landry (Monopole) Premier Cru 2007 - solid. 3. 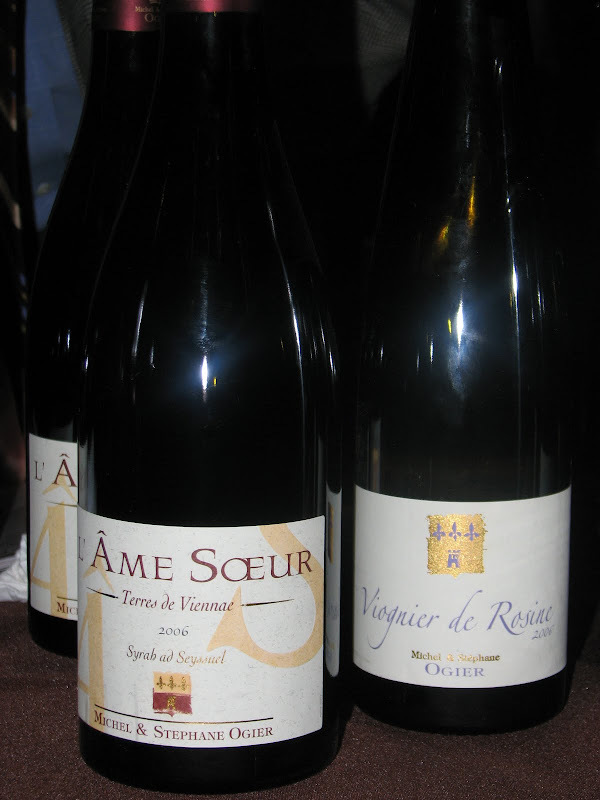 Michel & Stephanie Ogier, L'Ame Soeur "Terres de Viennae" Syrah 2006 - very pure Northern Rhone, fresh meat and pepper. 4. 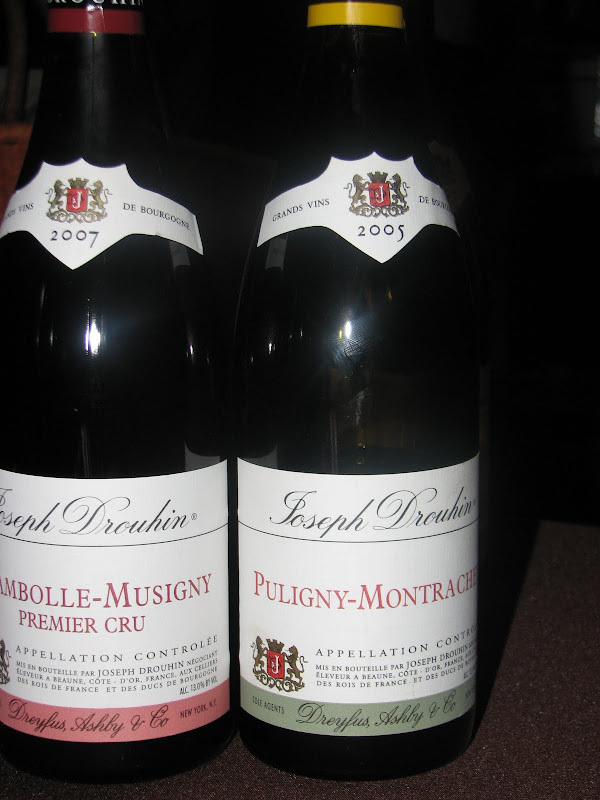 Joseph Drouhin, Chambolle-Musigny Premier Cru 2007 - plush cherry. 5. Moric, Austria - excellent line-up, interesting grape variety, from lighter and fruitier to more substantial bottlings, excellent matches to the Iberico Ham Crostini with Fig Marmalade served at the adjacent table. A relative newcomer to the Austrian wine scene, Moric's founder Roland Velich makes all his wines from old-vine Blaufränkisch grapes. 6. Ridge Lytton Springs 2001 (a Zin-based blend) - as good and not over-the-top Zin as I've ever seen. 8. Niepoort, 1991 Porto Colheita - classic Tawny port (paired with Brix milk "chocolate for wine"). 9. Marcel Deiss, Alsace Grasberg 2004 - great blend of slightly off-dry white varietals. 10. Movia, Veliko 2004 and Lunar 2007 - thought-provoking. The regular Movia (not shown here) and Veliko are age-worthy wines. Too bad Ales Kristancic had stepped away. His Lunar (the orange wine), a ribolla gialla grape from 65-year-old vines, was harvested by hand, then filled into the barrel, and left alone until spring, when it's drawn off its skins by vacuum, directly into bottle without the use of sulfur dioxide. 11. 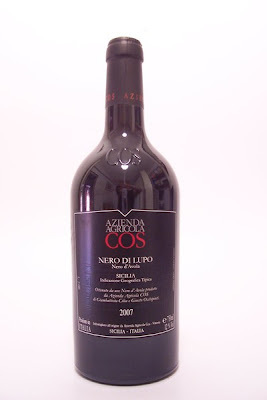 Cos, Sicilia Nero di Lupo Nero d'Avola 2007 - deliciously fruity, cool bottle. Behind every wine there is a story. To taste a wine without the story is to miss its soul. Surely, unforgivably, I missed a number of great wines. But afterwards, with interest piqued - I devoured the pages of the Wine & Spirits issue introducing each award-winning wine, winery, and wine-maker. There are awards, and then there are AWARDS. 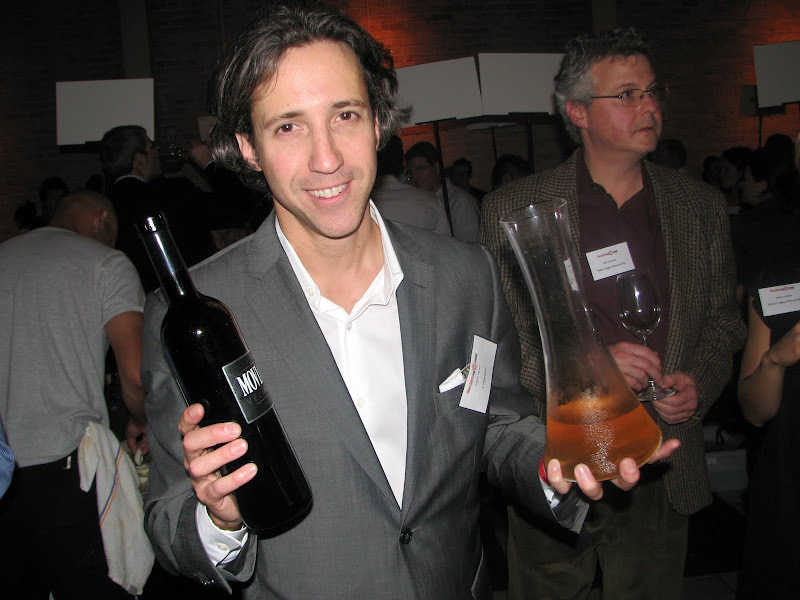 While there are many to go around, the Wine & Spirits Top 100 is the real deal - a classy affair indeed, a celebration of the wonderfully diverse world of wine, an event well worth the price of admission, and my respect! 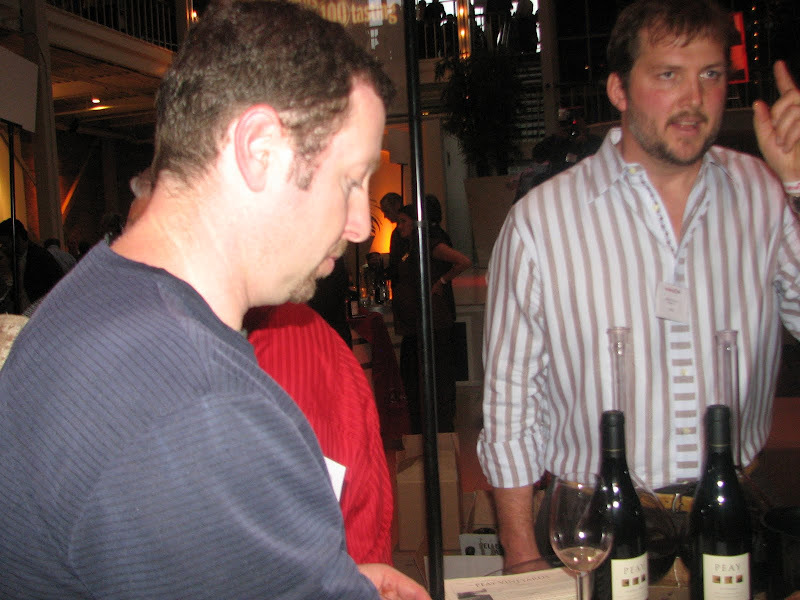 Thanks so much for the kind words about our 1995 and 2005 Monte Bello, I'm glad you enjoyed them! Should you be so interested, I recently posted about this mini-vertical on our blog here at Ridge, and also, assuming it's ok, I'd like to post a reference to your site. Thanks again! Host: "4488: A Ridge Blog"
Christopher, I am glad you saw the post. It was my pleasure to mention Ridge - great showing at W&S 100. Absolutely feel free to reference my post.